My husband and I just purchased a Mystichrome convertible. 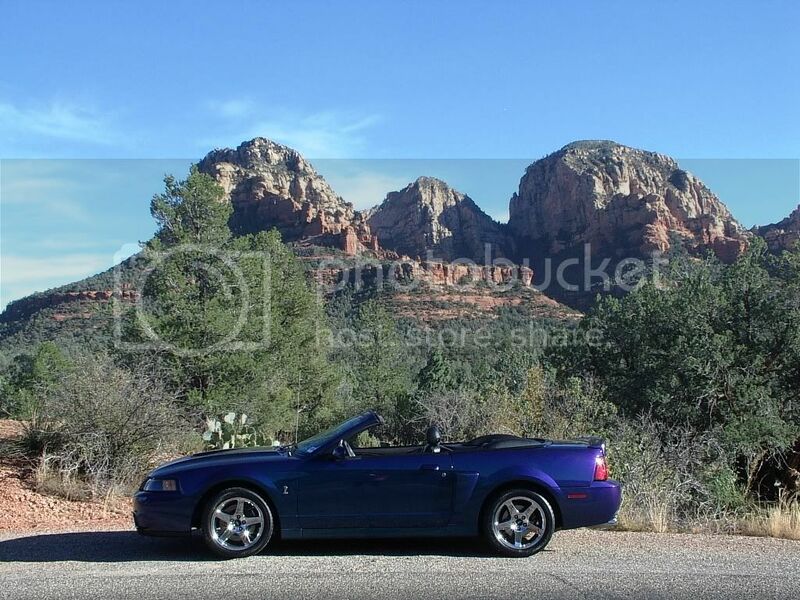 We flew to Phoenix and had a glorious trip home topdown, through Sedona, Grand Canyon and Zions park to Salt Lake City. It ran flawlessly, but last night when driven a short distance it was steaming. Didn't overheat, looked like near the overflow. Any ideas? It has 33,000 miles. Borla exhaust and cold air induction. It also has a short throw shifter that is really noisy and rattley. Is that normal? The dealer (it was a trade-in) didn't have any of the SVT papework. Where do I find out the SVT number and Mystichrome number? Can copies of the paperwork be obtained? Where? Paint looks great except for a few small chips along the front lip of the hood. 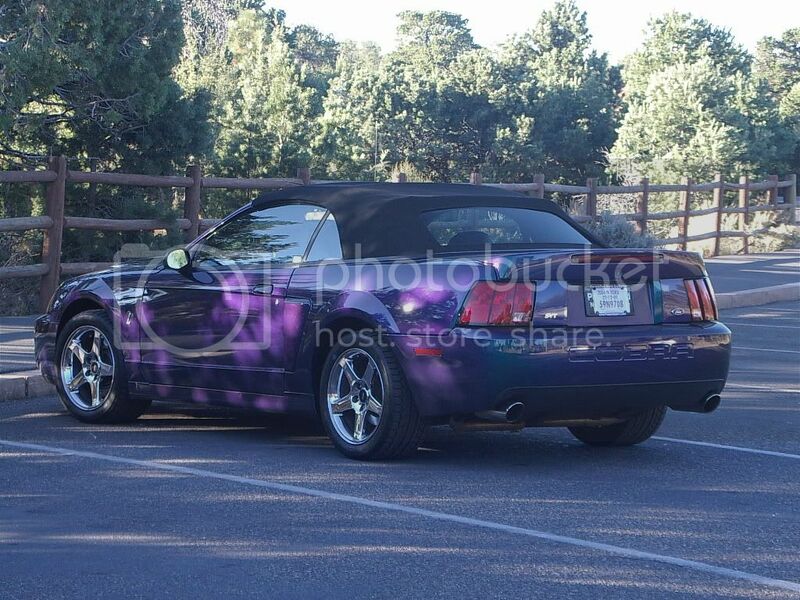 We have ordered some G6 Purple Haze touch up paint. Do you recommend Clear Coat? 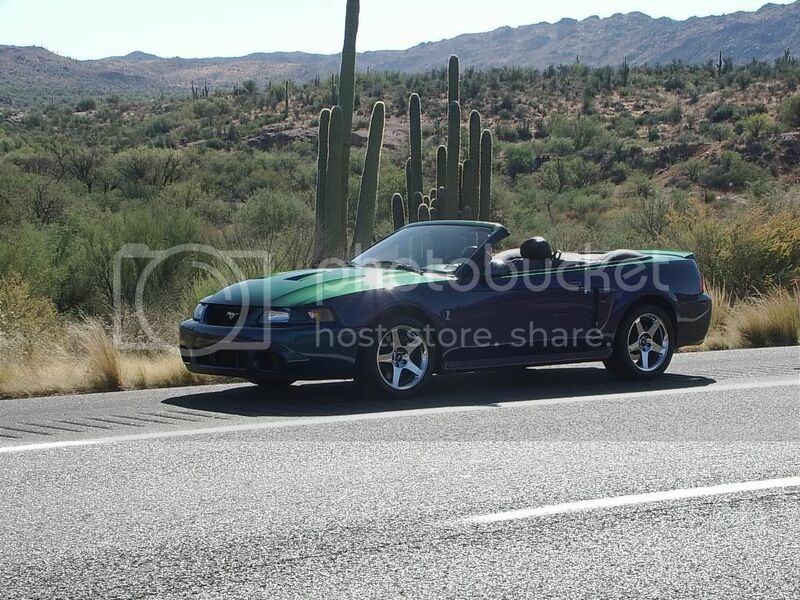 Recommendations for where to purchase a good Cobra/SVT car cover? Are there any other members here from SLC? I don't believe I've seen another Mystichrome here. Thanks. Below are some photos, showing each of the colors, from our trip home. welcome to the SCMC forums. That is a very nice looking Cobra. The Mystichromes are very sharp vehicles. *To quiet the noise of your short throw shifter, you can check out this website http://stangshiftergaskets.com/ Some of the short throw shifters feel notchy. *If you are in need of a good quality car cover, there are several good brands to choose from, like the California Car Cover http://www.calcarcover.com/ , or Covercraft http://www.covercraft.com/ . Both companies make car covers specifically designed to fit the Cobras. *My suggestions for fixing the paint chips would be to find a good paint guy, and have him repaint the area that looks bad. The problem with using a touch up paint, especially with the Mystichrome paint, is that it will not match. The Mystichrome paint is a multi stage paint, that wont look right coming out of a little bottle. I have seen several Mystichromes that had touch up paint, and it stuck out like a sore thumb. I can't help you on the radiator overflow deal. 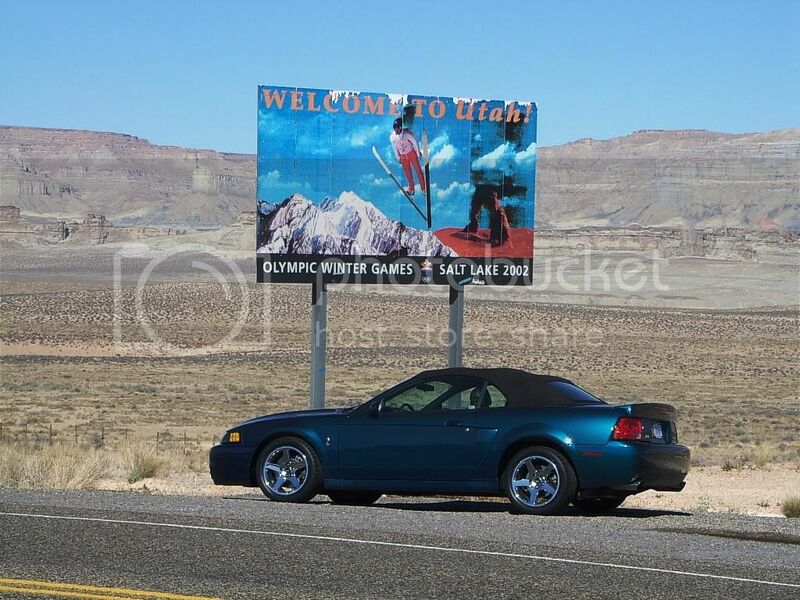 I don't know if the elevation change could have done it. Hopefully, someone here can guide you down the right path with that issue. Once again, welcome to the SCMC forums. We hope that you can join the club, officially. You should be able to join, Check out the site store on the home page and send in you info. OK, got it figured out. Didn't realize this is like a real club, thought it was just a web forum. Joined with the five year power pack plan. Finding a lot of great info. Welcome to the club and the forums. You'll enjoy it here, lots of good people and knowledge. Congrats on your Cobra purchase, those Mystics are rare. I'm going to make it out to Miller MSP one of these days for an event. great to hear that you joined the club!! Welcome to the club! I love the Mystichrome's too!